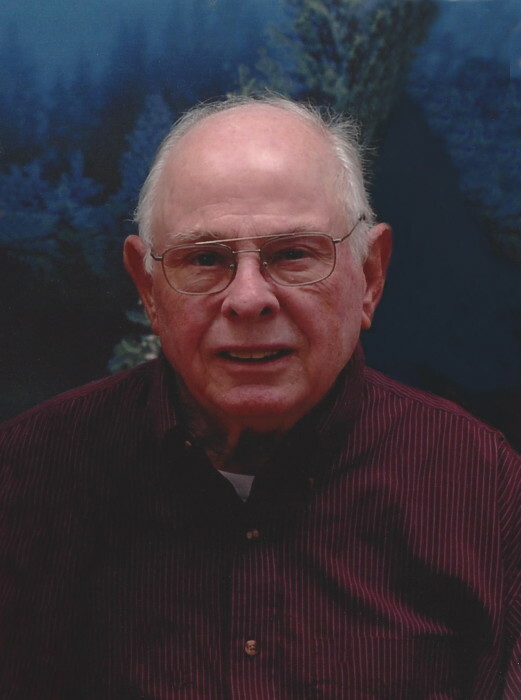 Page George Godwin, Jr., 84, husband of the late Sara St. Claire Simpson Godwin, died Sunday, January 27, 2019, at Heritage Home of Florence. Mr. Godwin was born in Florence County on August 10, 1934, son of the late Page George Godwin, Sr. and Mattie Lee McCutcheon Godwin Abell. He was a graduate of Lake City High School and was a veteran of the United States Air Force. Mr. Godwin was a member of Lake City United Methodist Church where he formerly served as Usher Coordinator. He received his Undergraduate Degree from the University of South Carolina and his Master's Degree from Winthrop University. Mr. Godwin was a former purchasing agent at Winthrop University and later retired from the Florence County Tax Office. He was former part owner of Godwin Tractor Company of Lake City as was a member of the American Legion. Surviving are his son, Page G. (Elizabeth) Godwin, III; grandchildren, Katherine, Sarah and Audrey; brothers, Ray (Betty Jean) Godwin and Sandy (Susan) Godwin; and sister-in-law, Barbara Ann Godwin. Mr. Godwin was preceded in death by his daughters, Suzanne St. Claire Godwin and Whitney Godwin; his brothers, Howard Godwin and wife, Ina Jean; Guy Godwin and wife Dixie, and Jack Godwin. Funeral services will be 11:00 a.m. Friday, February 1, 2019 at the Lake City United Methodist Church with burial to follow at Lee Cemetery on McCutheon Road in Lake City. The family will receive friends from 6:00-8:00 p.m.Thursday, January 31, 2019 at the funeral home. Memorials may be made to Lake City United Methodist Church, P. O. Box 818, Lake City, SC 29560.